I finally had a chance to draw my Full Moon Calamandala* for 2014! The work of a priestess is to create and keep open a channel between the seen and seldom seen realms in which we live, in relationship and in service to a community. It is not enough for the priestess to be able to contact spirit and travel in that dimension herself: a trained and experienced priestess can create a doorway between the worlds that is wide enough for others to join her there and those people, by joining, expand the opening still further so that the flow of power is strong and transformative for all present. On a very primal level, seeing women hold power in the public spiritual sphere stimulates people’s belief and trust that women can therefore be an authority in other places, as in political office, or corporations. The impact of the symbolic role of the priestess in public ritual reaches into our psyche; this is why it’s important that priestesses be seen performing public rituals and openly invoking the Goddess. From “The Priestess as Wedding Ceremonialist” by Josephine MacMillan. There is no one way to be a priestess; each of us, as a unique individual with her unique connection to the Goddess, can bring her own vision into the role. The Goddess of many faces is enriched by priestesses with different understandings of the part. From “Reclaiming Adam and Eve: The work of a Priestess in Israel” by Hava Montauriano. She who is priestess experiences the calling to hold the whole of the cosmos in reverence, to observe the tides and seasons and to immerse in marking the life of the cosmos through spiritual celebration. From “Priestess: Born Unto Herself’ by Pamela Eakins. This post today is basically a potpourri post of other posts that have caught my attention! On a related note, we’re having a giveaway on the Brigid’s Grove FB page of one of our new womb labyrinth pendants. BONUS: if you also “like” the Brigid’s Grove Facebook page itself (not just the picture), you will be entered to win a bonus giveaway for one of our basic Brigid’s Sacred Oak/tree of life pendants. Make sure to leave a comment on this post letting me know that you did so though! 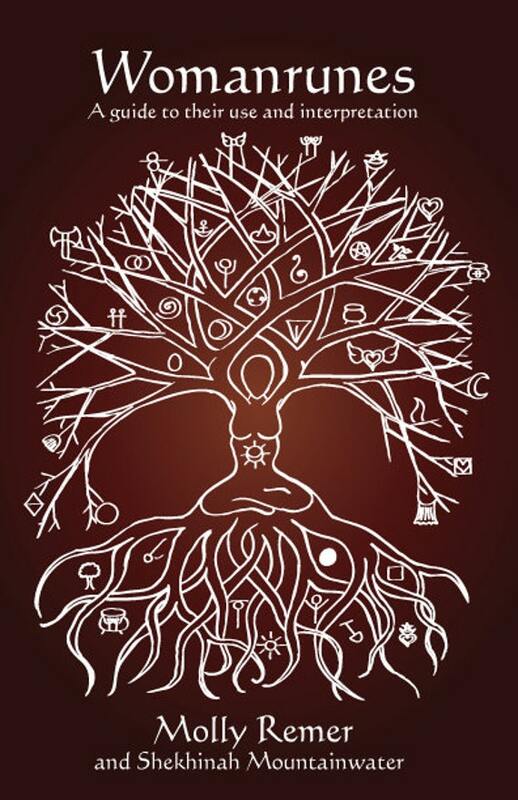 via Guest Post:Theapoetics and the Woodspriestess by Molly | Jodi Sky Rogers. ..the act of gratitude focuses us on the abundance in our lives—welcoming even more abundance in! Gratitude is a practice that can benefit you at all levels- physically, emotionally and spiritually. via Full Moon Gratitude Circles | Goddess Spiral Health Coaching. And, I’ve been steadily listening to the worldwide presentations organized by DeAnna L’am and offered as the Red Tent World Summit: DeAnnaLam | Coming of Age Made Easy, Womanhood Made Richer, Red Tent in every neighborhood. “[For centuries women have] had to withdraw their power – withdraw their energetic movement and flow. It had to be protected and hidden as the chalice of the woman had to survive. Now it is time for all to bring out their chalice – to gather their “tribe” – to radiate their energetic flow. Now it is time to find the “especial genius” that is intuitively woman. It is time for women to openly exhibit their power, their knowledge, and their leadership. The ancient symbol of unity is the circle. It is the sacred hoop of wholeness and female power. It represents the feminine spirit in a sacred space that is unbreakable. It is time to bring the circle – the hoop – to its power. via Sometimes You Have to Create The Thing You Want to Be Part Of – A Contemporary Perspective. This past weekend, we had our seventh Rise Up class at my home. A friend that I haven’t seen in a very long time came to the class along with another dear out-of-town friend and it made my heart sing to see them both. It was such a deep delight to have them there, it is hard to even explain it. Before the rest of the participants arrived, one of these friends, my mom and I practiced the circle dance (from Dances of Universal Peace) that we would later use during the class section on Kwan Yin. As I looked across at their faces and the reality of dancing together there in my living room hit me, I said, “I love us!” And, I do. I feel very fortunate to have these women in my life. During the class, one of the concepts was referenced that in working with Tara, we have the opportunity to create a ritual that is in itself a sort of “mandala of the whole universe”—the ritual is then like a miniature version, a microcosm, of that pattern which is expressed at a larger level. In Stepping Into Ourselves, D’vorah Grenn writes about Jewish priestesses (Kohanot) and says: “Being a priestess can be exhausting. Without proper shielding and protection, women can find their precious energies only going out, and too rarely being being replenished. We must continually find new and effective ways to guard against becoming depleted. Every day, we witness the positive, transformative effects of, ‘restoring women to ceremony’…another reason it is vital that we continue our work…” (p. 56). Restoring women to ceremony. I absolutely loved this. Priestess work occurs in the context of community. I so value the women who show up to do this work with me. Beautiful pendants! I have liked the Brigid’s Grove FB page. The pendants are gorgeous, and I now like Brigid’s Grove Facebook page.